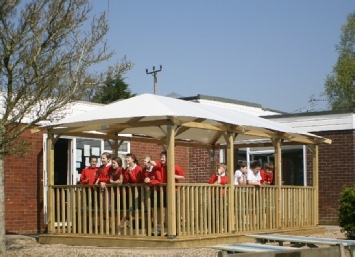 Shelters4you has a variety of bespoke shade solutions which can be specifically designed to meet you exact requirements. 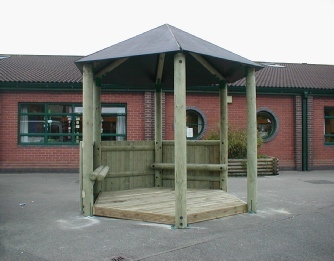 Solid Timber canopies, Timber shade areas and outdoor classrooms are custom designed in a variety of styles, shapes and sizes. 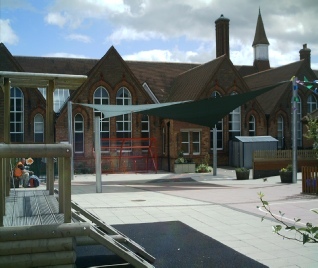 Fabric sails provide a less permanent shaded area whilst remaining very versatile and can be designed to suit any outdoor area. Using either a single sail or a combination of many sails, you can provide shade and create some fantastic looking areas using different fabrics, textures and colours. 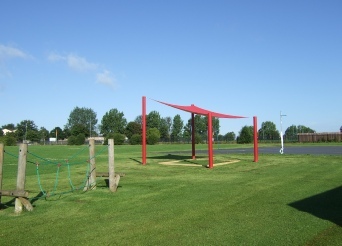 The sails can be fixed to either timber or metal posts to form a free standing structure. These posts are concreted securely into the ground for maximum stability. Alternatively they can be fixed to an existing building via specially designed wall plates to cover areas between or around existing buildings revitalising areas previously under utilised. 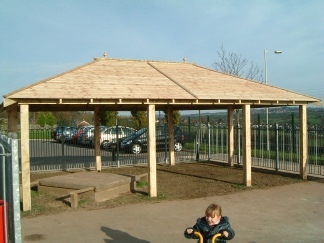 Our timber shaded areas can be built to any size or shape. 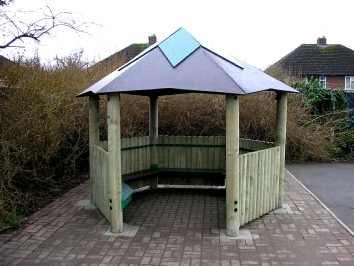 They are also available in various roofing finishes to blend in with their environment. The different options range from Timber cladding, Cedar Shingle, felt Shingles, traditional felt, tile and slate. 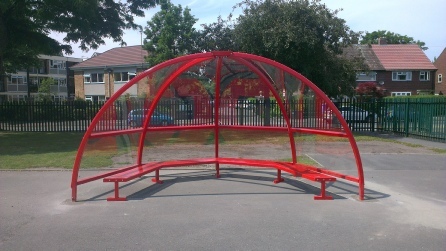 Additional seating, benches and tables can be installed to create an outdoor classroom, smoking area or just an area to sit at break time.